Autism spectrum disorder (ASD) affects about 1% of the world’s population. Vitamin D is thought to be essential for normal brain development and modulation of the immune system. Worldwide about 1 billion people are affected by vitamin D deficiency. High-sensitivity C-reactive protein (hs-CRP), cytochrome P450 2E1 (CYP2E1) and 8-hydroxy-2′-deoxyguanosine (8-OH-dG) are biomarkers related to inflammation and oxidative stress. In the present study, these biomarkers were together with serum 25-hydroxyvitamin D (25(OH)D3) analyzed in 28 (mean age seven years) Saudi male patients with ASD. The study was conducted to determine if there is any relationship between vitamin D levels, the tested biomarkers and the presence and severity of ASD. The hope was to identify if these biomarkers may be useful for early ASD diagnosis. The Childhood Autism Rating Scale (CARS) and the Social Responsiveness Scale (SRS) were used to measure autism severity. The results of the ASD children were compared with 27 age and gender-matched neurotypical controls. 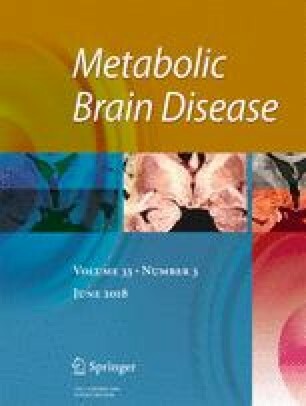 The data indicated that Saudi patients with ASD have significantly lower plasma levels of 25(OH)D3 than neurotypical controls (38 ng/ml compared to 56 ng/ml, respectively; [P = 0.001]). Surprisingly, the levels of CYP2E1 were lower in the children with ASD than the neurotypical controls (0.48 ± 0.08 vs. 69 ± 0.07 ng/ml, respectively; P = 0.001). The ASD children also had significantly higher levels of hs-CRP (0.79 ± 0.09 vs. 0.59 ± 0.09 ng/ml, respectively; P = 0.001) and 8-OH-dG (8.17 ± 1.04 vs. 4.13 ± 1.01 ng/ml, respectively; P = 0.001, compared to neurotypical age and gender-matched controls. The values for hs-CRP and 8-OH-dG did not correlate [P < 0.001] with autism severity. There was found a relationship between autism severity on the CARS scale and the levels of 25(OH)D3 and CYP1B1. But this was not found for SRS. All four biomarkers seemed to have good sensitivity and specificity, but the sample size of the present study was too small to determine clinical usefulness. The findings also indicate that inadequate levels of vitamin D play a role in the etiology and severity of autism. Furthermore, the results of the present study suggest the possibility of using 25(OH)D3, CYP1B1, hs-CRP and 8-OH-dG, preferably in combination, as biomarkers for the early diagnosis of ASD. However, further research is needed to evaluate this hypothesis. All procedures performed were in accordance with the ethical standards of the institutional and/or national research committee, and with the 1964 Helsinki declaration and its later amendments or comparable ethical standards.